Click here to download an emergency notification app LawPilot GuardianTM to notify us should you ever get detained, and stay informed about your rights and important news and updates. 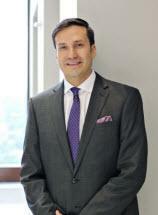 Nick Chavez is an expert in immigration and naturalization law. Specializing in helping individuals who are seeking solutions for obtaining lawful status or citizenship in the United States. He is Board Certified in Immigration and Nationality Law by the Texas Board of Legal Specialization. He has represented several notable immigrants including a Grammy-nominated artist, a racecar team member, and a highly accomplished muralist. He has written publications for local media and has been featured in radio and television shows to discuss developments in immigration law relevant to the community. He is regularly invited to speak at lawyer conferences and community events on various immigration topics. He is an active member of the American Immigration Lawyers Association and is presently serving as a member of the AILA Amicus Curiae Committee for the U.S. Court of Appeals for the Fifth Circuit. Nick is also a published cartoonist. He has published several legal cartoons over 20 law-related cartoons for national magazines such as The National Jurist and Immigration Law Today. Ethics and Practice Management. State Bar of Texas, Immigration Law 101 Conference. Houston, TX (2016). Federal Case Law Update. UTCLE Annual Conference on Immigration and Nationality Law. Austin, TX (2015). I-601 v. I-601A Waivers. State Bar of Texas, 13th Annual Advanced Immigration Law Course. Houston, TX (2015). Whose Burden is it Anyway? AILA National Conference. Boston, MA (2014). Federal Court and BIA Update. AILA National Conference. San Francisco, CA (2013). Strategies in Complicated I-751 Cases. AILA National Conference. Nashville, TN (2012). Hot Topics in Family-Based Adjustments. UTCLE Annual Conference on Immigration and Nationality Law. Austin, TX (2012). Strategies for Success in Problematic Naturalization Cases. AILA Audio Seminar (2011). A Mock USCIS I-130/I-485 Adjustment of Status Interview. UTCLE Annual Conference on Immigration and Nationality Law. Austin, TX (2011). Yippee-Kai-Yay, This Is How It’s Done Before the BIA: Appellate and Motions Practice before the BIA. AILA Texas Chapter Spring Conference. Oklahoma City, OK (2011). Review of I-751s in Removal Proceedings. AILA National Conference. Washington, D.C. (2010). When Marriages Go South. AILA Texas Chapter Fall Conference. Playa de Carmen, Mexico (2010). A Practical Guide to Removal Proceedings: A Two-Day Workshop and Training on Removal, Relief and Adjustment. UTCLE Immigration Law Conference. Dallas, TX (2010). Unauthorized & Unethical Practices of Immigration Law – Concerns, Tips and How to Get Involved. AILA Texas Chapter Fall Conference. Puerto Vallarta, Mexico (2008). Removal Proceedings: The New Practice Rules. UTCLE Annual Conference on Immigration and Nationality Law. San Antonio, TX (2008). Immigration Law & Employer Compliance, Sterling Institute CLE Seminar, Dallas, TX (2008). Chavez, N., & Curiel, R., “The Art of the Initial Consultation in Immigration Practice,” Texas Bar CLE, Immigration Law 101 Course Book, Chapter 8, State Bar of Texas (2016). Chavez, N., “Overview and Recent Updates on Provisional Unlawful Presence Waivers,” Texas Bar CLE, 13th Annual Advanced Immigration Law Course Book, Chapter 8, State Bar of Texas (2015). Chavez, N., Mendez, M., & Smith, P., “Whose Turn Is it? : Allocation of Burdens of Proof in Removal Proceedings,” Immigration Practice Pointers: Tips for Handling Complex Cases 503 (AILA 2014-15 Ed.). Chavez, N., Crow, M., & Graves Jr., W., “Recent Developments and Strategic Considerations in § 212(h) Waiver Practice,” Immigration Practice Pointers: Tips for Handling Complex Cases 664 (AILA 2013-14 Ed.). Burton, J., & Chavez, N., “Removal of Conditional Status in Immigration Court: Shifting Jurisdictions and Burdens,” Immigration Practice Pointers: Tips for Handling Complex Cases 138 (AILA 2012-13 Ed.). Chavez, N., & Nayar, L., “Happily Ever After for an Unhappily Married Foreign National: Effects of Divorce on Spousal-Based Immigration Cases,” University of Texas at Austin School of Law CLE Immigration & Nationality Law Conference (2012). Chavez, N., Haynes, J., & Smith, D., “I-751s in Removal Proceedings: Lessons on How to Stop Worrying and Love the Law,” Immigration Practice Pointers: Tips for Handling Complex Cases 586 (AILA 2010-11 Ed.). "I am the General Counsel for a global internet security company. I have been working with Martin and his team for over three years on immigration matters including permanent residence, intracompany-transferee, investor’s, and H-1B matters. My experience has been outstanding. Martin or anyone in the firm always respond promptly and professionally. I usually work on very tight deadline and Martin and his team have always helped us achieve our goals. In my experience in comparison to working with other immigration lawyers, Chavez & Valko makes the complicated and burdensome process feel like a breeze. I would recommend Chavez & Valko to anyone who wants precision, promptness and professionalism." "My family and I would like to thank the attorneys from the immigration law firm of Chavez & Valko LLP for the great work fulfilled in my immigration case which had a happy ending. . . the immigration law argued that a criminal case like the one I had was eligible for deportation and my options were minimal. . . With their experience and great knowledge in immigration law, their perseverance and professionalism, they were able to win my case in my favor in Dallas immigration court (EOIR). I would like to give special thanks to the law firm of Chavez & Valko, who was with us at all times giving us support, security and great optimism." "Visit this section to view upcoming events for Chavez & Valko, LLP"
Schedule your appointment online now to meet directly with our attorneys. The Dallas, Texas, immigration law firm of Chavez & Valko, LLP provides immigration legal services to the cities of Dallas, Fort Worth, Austin, Arlington, Irving, Plano, Garland, Mesquite, McKinney, San Antonio, Houston, Denton, Richardson, Allen, Frisco, Lewisville and Flower Mound, and the counties of Dallas, Tarrant, Collin, Denton, Kaufman and Henderson, Texas; TX, North Texas, DFW. Because U.S. immigration laws are federal in scope, our immigration attorneys are able to represent individuals and companies in all 50 states of the United States of America.